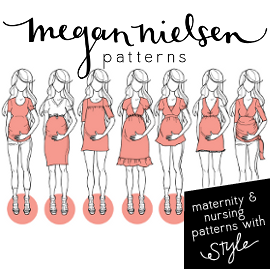 The Sew Knit Create Shop: Modern Craft Project - Vote to help Megan Nielsen Patterns win! Modern Craft Project - Vote to help Megan Nielsen Patterns win! There is currently a competition being held by Ketel One at Modern Craft Project and one of our pattern designers the lovely Megan Nielsen is a finalist. The competition is about giving recognition to contemporary craftsmen who bring traditional skills into modern day. The winner will receive $100,000 to fund and build their business. This would be immensely helpful to the growth of Megan's business, Imagine all the awsome patterns, tutorials etc she could do with that! I urge you all to go and vote and support Megan to win! !